Whether it’s by foot, car, or bus, everyone has to get to The Nature Place somehow! Some lucky campers live close enough to camp to travel here on their own two feet. Others living in Rockland or Bergen Counties come to us by car. 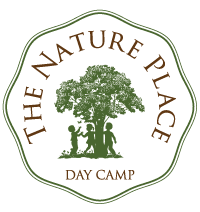 Over half our campers get to The Nature Place by riding the bus, making nature and the magic of camp accessible to those living in Manhattan, Brooklyn, Westchester, Hoboken, Montclair, and families living in Bergen County who’ve opted to use bus transportation. Please note that during the week of August 12 – 16, our week of Additional Offerings, we offer bus transportation from Manhattan and Brooklyn only. While the morning and afternoon travel to and from camp is really just the means to a glorious end (camp! ), this important link between home and The Nature Place is only possible through a reliable, safe, fun, communicative transportation experience. We’ve designed our bus transportation to utilize centralized pickup stops, rather than door-to-door pickup. Over the past 20 + years of busing children to camp we’ve found that this method of pickup and drop off ensures a shorter ride than what would be possible if we bused door-to-door. Because of this, we move our bus routes and stops around a little bit each summer season, based on each of our customer’s locations. By doing this we’re constantly refining the best possible balance between centrally located stops, convenient to as many families as possible, with a bus ride that is also as short as possible for our campers. We send out all busing information close to the start of camp, in early/mid June. You can see this past summer’s bus routes and stops below. Know that while details will shift a little every season, what you see should provide a good general picture of our bus routes, stops, and times. We work with Chestnut Ridge Transportation (as we have for over 20 years) for all our daily buses to and from camp as well as for our offsite hiking and camping trips. For those parents choosing to drive their children to and from camp, we are happy to help you with carpool arrangements.